A 1:30 scale miniature of the Castle in Malbork offers a unique opportunity to view the medieval fortress from an entirely different perspective. The tower is nearly two metres tall. Each and every detail has been faithfully and realistically represented. 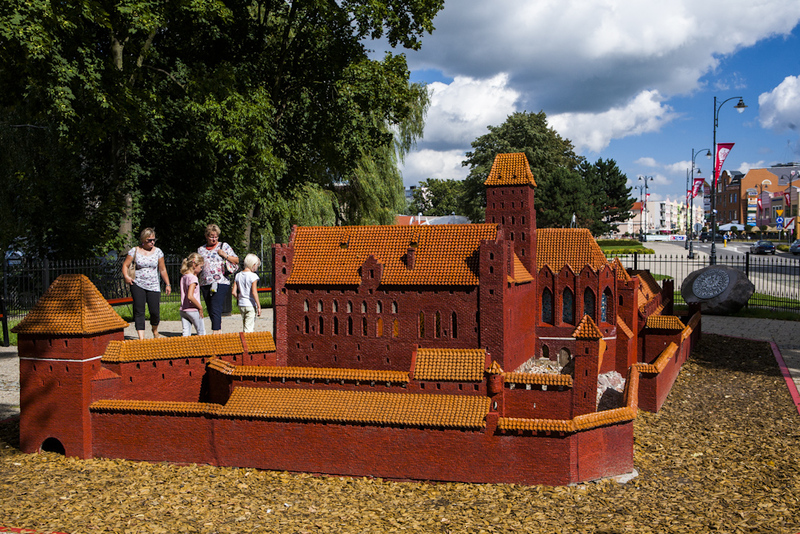 The object is made of nearly one million made-to-order miniature bricks and occupies an area of 50 sq m. The miniature is located close to the real walls, at Piłsudskiego Street.